Posted on 03/22/2018 by Mickey McCarter	in Live Review and tagged Blossom Bash, Bush, England, Gavin Rossdale, post-grunge, The Anthem. Last year, British post-grunge quartet Bush released Black and White Rainbows, their seventh studio album, through Zuma Rock Records and The End Records. 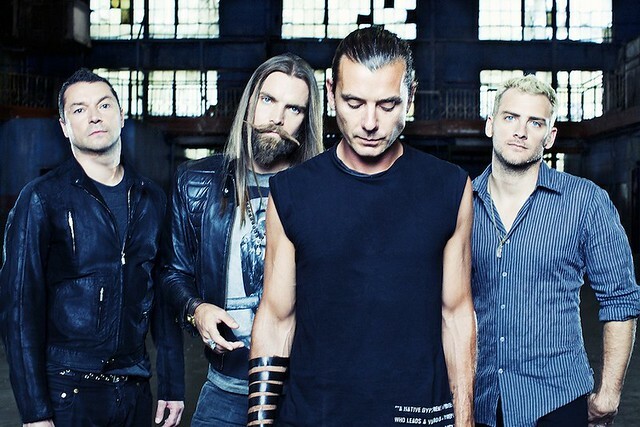 Frontman Gavin Rossdale and company will play songs new and old, surely including ‘90s hit “Glycerine,” as headliner for the Blossom Bash at The Anthem on Friday, April 6. Gavin founded Zuma Rock Records in 2011, and Bush have issued three albums on the label since reforming in 2010. In October, Bush partnered with BMG and released a remastered version of their latest album with two extra tracks. Black and White Rainbows was the first album released by Bush since Gavin’s divorce from Gwen Stefani. In a review for AllMusic, Neil Z. Yeung pointed to Gavin’s maturity in the face of the divorce. “Opting to focus on positivity and the big picture, Rossdale… managed to craft a collection of adult contemporary hard rock that is fittingly mature and somewhat optimistic (radio-friendly single ‘Mad Love’ is a prime example). Rainbows features some of the brightest songs in the Bush catalog — with less grit and generic retread than the previous two Bush 2.0 albums — and is almost as energetic and catchy as 2001’s underrated Golden State, the last from Bush 1.0 before their 2002 dissolution,” Neil wrote. Gavin is joined by his bandmates in Bush: drummer Robin Goodridge, lead guitarist Chris Traynor, and bassist Corey Britz. Blossom Bash, presented by Mattress Warehouse, also features Third Eye Blind and Lovely the Band. Buy your tickets online.